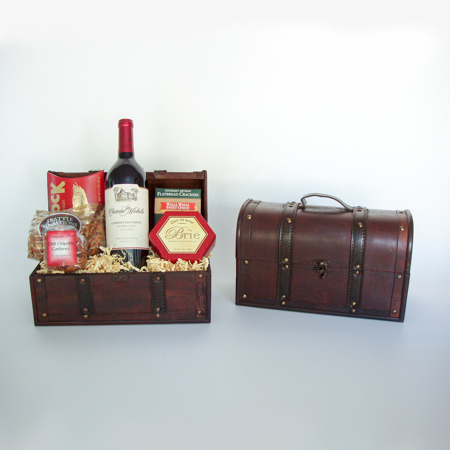 Send this Washington Wine Gift Basket including Ste. Michelle Cabernet Wine, Portlock’s Smoked Salmon, Brie Cheese Spread, Partner’s Walla Walla Onion Crackers, Outrageous Offerings Chipotle Cashews and Seattle Sinsations Buttery Pretzels. Arranged in a handsome 12x6" home decor chest. Available with wine, champagne or sparkling cider.